When Ian was helping me update comics, we had found a pile of old ones I had made about a year prior. We were scanning them, cleaning them up, and uploading them on Toshiba-san II. We packed up what we had, moved across the country, and -for a time- lost track of that folder. Last month I found it. So we’re going to get back to uploading the old LOG comics. Looking at them, they’re very rough and not what I would do now, but I think they’re fun. I know where I’m going to pick them up again, but I have to upload what I have to get to that point. I’ve been dreaming a lot about making comics again. Which is nice. Made me think of Google deep dreaming things and trying to understand them. 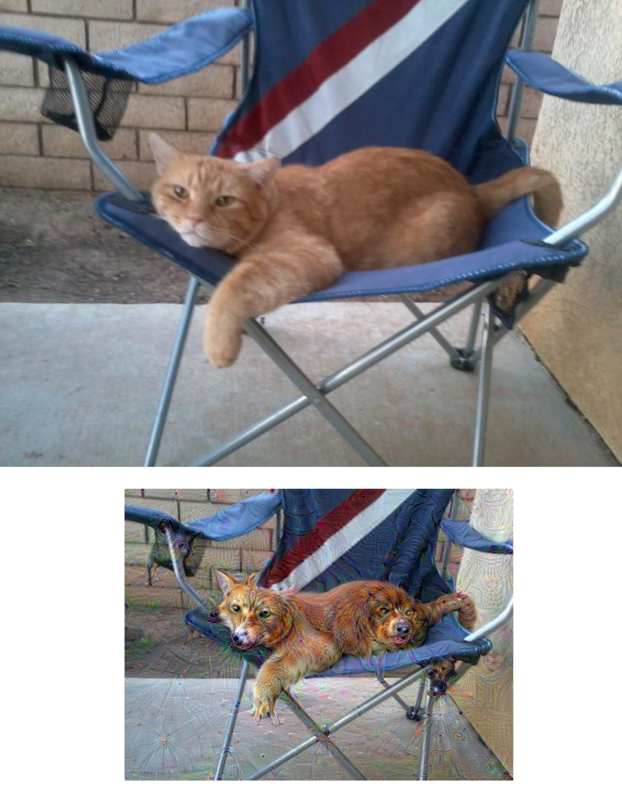 Here’s an image of Google deep dreaming Ollie for Facebook to grab onto done here. This image was dreamed over a 3 day period.